Grace and I are enjoying a lazy Saturday morning on the sofa. Looking out the back window, we're watching snow fall. As pretty as it looks, I really do hope it's the last of the snow before spring arrives. 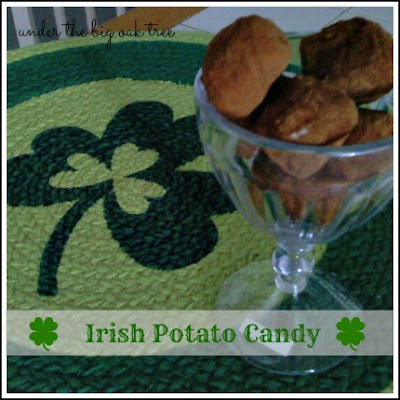 Tomorrow is St. Patrick's Day, so later today Grace and I will whip up a batch of Irish Potato Candy and tomorrow Joe will enjoy some Corned Beef and Cabbage that will cook in the crock pot while we run a few errands. 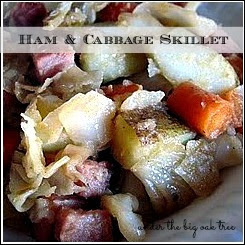 Later in the week, I'll make my favorite Ham and Cabbage Skillet with the last of the Christmas ham from the freezer. That should make some room for the leftover Easter ham I'll be needing to freeze in just a couple of weeks! How are you spending your weekend? What's on your St. Patrick's Day menu? Share with us in the comments! We're going with the New England Irish dinner of corned beef with roasted potatoes and cabbage. Might do it in beer in the oven this time, instead of the crock. Last time, it got a little "water logged" in the crock and not as rich as we like.